Up to $40 off Fusion 11 and $100 off Workstation 15. No coupon code is needed for upgrades, discounts are shown online compared to full version products. This offer is valid Training and Certification products including On Demand Courses, VMware Learning Zone and Exam Vouchers Gain the skills and training you need to further your education and take your workplace knowledge to the next level. Make the switch and save on the already low price of VMware. You’ll need your Parallels license/Serial Key in order to get this offer. In comparisons by several leading magazines Fusion was voted as being superior to Parallels in terms of features and price. Instructions: Click the button below. When you get to the VMware site scroll down to the bottom and find the heading that says, “Fusion Versus Parallels” and click the “learn more” link. Simple, dollars saved! Students, parents, faculty and staff of colleges, universities and other educational institutions can make massive savings. Get 40% off VMware Fusion, Workstation and Player new and upgrade versions. Save $2000 off VMware vSphere Essentials Plus. You may be asked to prove your legitimacy for purchasing an academic version. VMware vSphere is the industry’s first cloud operating system. Organizations of all sizes can achieve the full benefits of cloud computing, delivering the highest levels of application service agreements with the lowest total cost per application workload. Get it from the source and pay the lowest price available! Save up to 40% when you Upgrade your current product to a new version. You must own a previous copy of Fusion (versions 8, 9 or 10) or Workstation (versions 12 or 13). Trials limited in time. Once you have tried out the product you will receive a prompt to purchase, if you are not fully satisfied with any VMware product you are under no obligation to buy. Upgrade from Fusion 9 or 10 standard or Pro. Upgrade from Workstation 13 or 14. Students, teachers, staff and parents save up to 40% off VMware. Buy directly from the VMware Australia store and save on upgrade versions of VMware. VMware was founded in 1998 and provides virtualization and cloud software to home and business users. Their core desktop product, Fusion, allows Mac users to run Windows on the same machine. Workstation allows multiple virtual machines to be run on a PC. Creating a virtual machine has never been this easy, now you can run all your favorite Windows applications on your Mac (including 3D games) without rebooting your computer. VMware Fusion, by means of an intuitive Mac interface, switches between Windows and Mac applications quickly and seamlessly. Make use of the most powerful combination in computer operating system technology and harness the best features of each platform. Your PC and Mac can be run on the same network, or they can be connected together via FireWire or Ethernet. Just click on the convert button and a Mac-like migration assistant will walk you through the conversion. Once you have completed this process, your physical PC will have been converted into a virtual machine on your Mac, including all applications, settings, and documents. – VMware Fusion is trusted by millions of contented users worldwide. – Run 64-bit operating systems or any of 60 other operating systems including Linux, Windows 7 & 8, 10, Solaris, and FreeBSD. – Quickly reverts to its previous stable condition if a fault is encountered. – Display options allow for; main display side-by-side, full screen, or across multiple displays connected to your Mac. – Improved performance when resizing and dragging Unity windows. – Strong Boot Camp integration. – Synch your iPhone with Outlook. – Run any of the over 550 virtual appliances that are currently available in the marketplace. – Multiple languages versions are available in the same download, English, French, German, and Japanese. 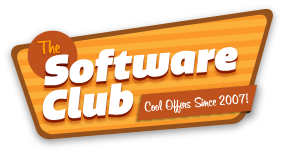 Use our promotional codes and offers to get the best value when you buy the VMware software title. autumn Special! From October 15 to Nov 2 selected VMware On Demand courses will be 15% off. Visit our link above to access the online courses. This offer is limited so grab it while you can. Vmware sale now on until 2 March 2018. Save 20% off Fusion, Fusion Pro, Workstation Pro and Workstation Player, both licenses and upgrades. No coupons or codes needed. VMware has extended its Cyber Week offer of 25% off on Training and Exam Certification Vouchers. Until 01 December 2017 you can make use of this brilliant offer to save on your courses. Click the “Buy Certification and Training” button above. Last few days to save on VMware education and training. Get 15% off selected courses. Offer expires 28 October 2017. The new versions of VMware have landed! Get VMware Fusion 10 Standard/Pro or Workstation 14 Pro/Player by upgrading your existing copy or buying a new version. No coupons are available yet but you can save big by upgrading versus buying new.